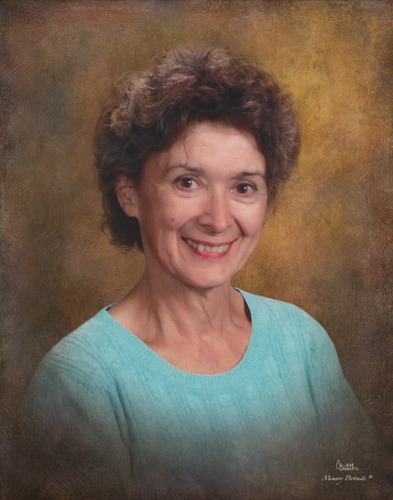 Obituary for Denise Ann (Rossi) Yenchek | Savolskis - Wasik - Glenn Funeral Home, Inc.
Of Bethel Perk, on Januray 14, 2019, age 68. Beloved wife of 46 years to Michael R. Yenchek; daughter of Norma Jean Rossi (Mancuso) and the late Robert Rossi; loving mother of Michael Yenchek and Robert (Elaina) Yenchek; sister of Mary (Michael) Lopez, Robert (Kelly) Rossi and the late Elizabeth Rossi; grandmother of Andrew, Matthew, Catherine and Helen. Friends received Savolskis-Wasik-Glenn Funeral Home, Inc., 3501 Main Street, Munhall, Wednesday and Thursday 2 to 4 and 7 to 9 pm. Panachida Blessing Service Thursday 2 pm. Visitation Friday 9:30 am until the time of the Funeral Service at 10 am at St. Nicholas Orthodox Church, 903 Ann Street, Homestead.